It’s been an interesting, and frigid, week here in Minnesota. 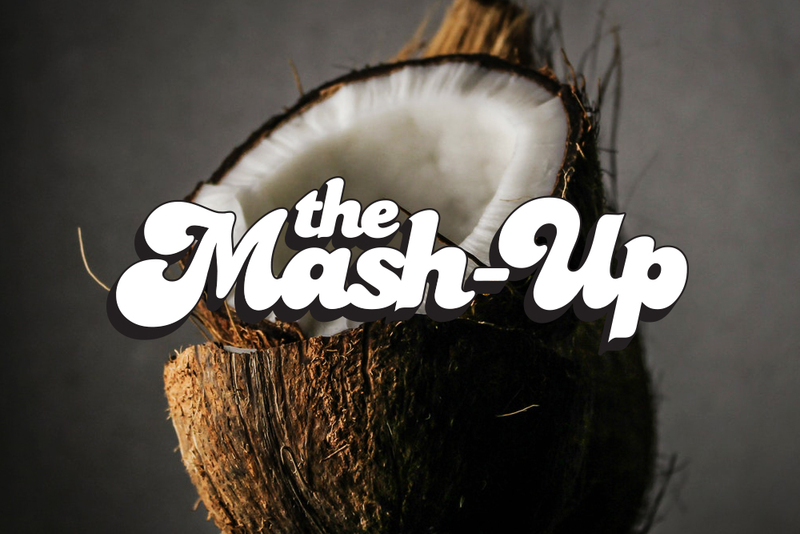 While most of the state suffered record-setting chills, breweries kept releasing exciting new beers and familiar favorites, and Urban Growler’s Coconut Week brought warmer thoughts a few days early with several one-offs built around tropical flavors. There’s something for everyone this week, from the light/dark stout collaborations between Junkyard and Modist to the mixed fermentation sour at Take 16. Today, Under Pressure will celebrate their grand opening in Golden Valley, and tomorrow Utepils hits their second anniversary milestone. In brewing achievements, Broken Clock in Northeast releases their 100th batch this weekend. Under Pressure is celebrating its grand opening today at 4pm. Among the tap list is Lori Ertl’s London Brown Ale, which won a gold medal in the final round of the 2017 National Homebrew Competition. 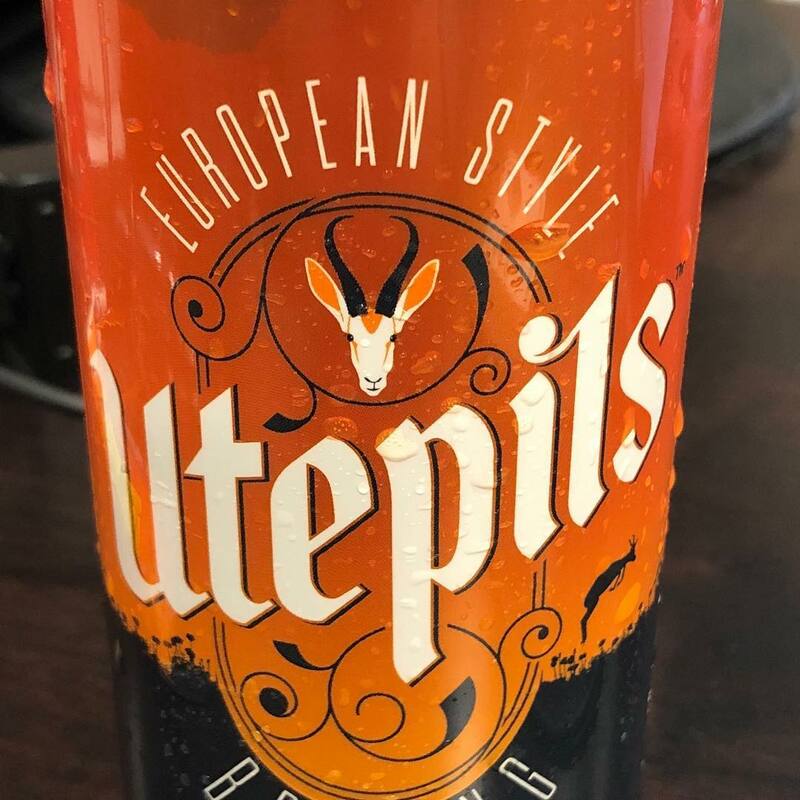 Utepils’ German-style maibock is back at the brewery’s second anniversary party this weekend. The light-bodied beer offers malty bread flavors with a mild spice and hop punch. “This West Coast pale ale showcases Comet, Mandarina Bavaria, and Amarillo hops, which lend a resiny and bold citrus flavor, to create a very drinkable and refreshingly hoppy pale ale,” the brewery says. “Tangerine, apricot, orange rind, and pronounced melon may be found paired with an earthy, pine bitterness and a slight caramel malt presence.” 5.6% ABV. Shoreline – Top Flight selection. 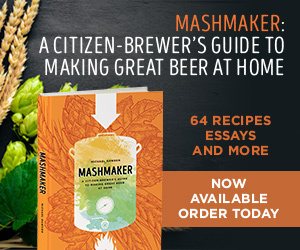 Earthshake IPA – A fruity milkshake-style IPA that the brewery describes as smooth and bright. Alfred’s – A 5.0% ABV blonde ale with notes of bread and light caramel. The Skip – A hazy IPA with notes of peach, clementine, and mango, along with strawberry and starfruit notes, the brewery says. 6.75% ABV. Polemo Pale Ale – A new pale ale that the brewery says is “super juicy” with notes of grapefruit and a balanced hop bitterness. Justice Magician – This new Haus Curiosity taps at 3pm today. It’s a juicy pale ale with fresh citrus peel, stone fruit, and “candy-like hop esters,” the brewery says. It pours at 5.2% ABV, 40 IBU and is available in the taproom. 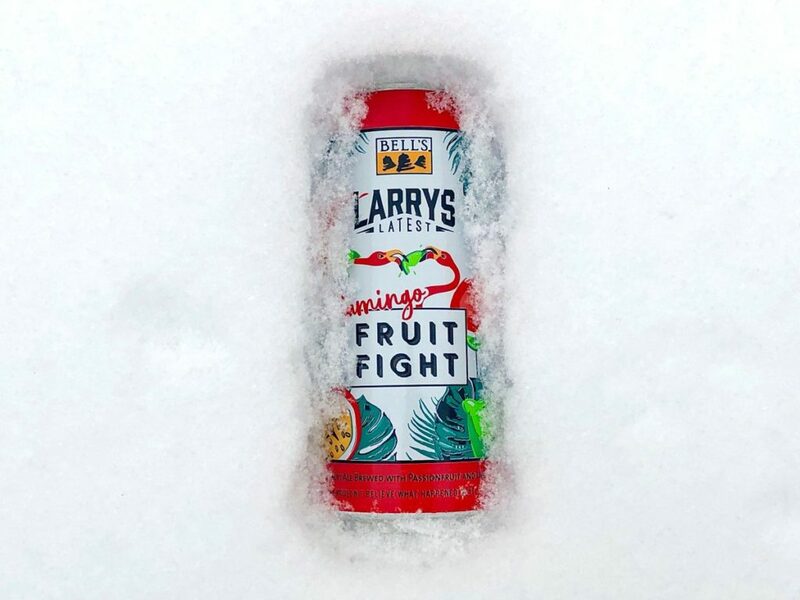 Larry’s Latest Flamingo Fruit Fight – A tart ale brewed with passionfruit and lime zest. Below Zero – A taproom-only brown ale, served on nitro. Tapped last Friday, January 25. Winter Warm-Ya-Upper – A taproom exclusive 9.1% ABV strong ale. Slow Clap – Tapped on Tuesday, January 29, this is a 7.5% ABV IPA featuring Strata and Cashmere hops. In cans and available at the brewery. Crankbait Smash #2 – Made with Cascade hops and pouring at 5.2% ABV, 29 IBU. Dem Apples – “We teamed up with Sarah Jane’s Bakery in Northeast Minneapolis to make our 100th batch of beer, Dem Apples. Loaded with 80 pounds [of] graham crackers, 100 pounds [of] brown sugar, cinnamon, and organic apple cider, and even apple pie thrown in the mash,” the brewery says of this beer, listed as a Dutch apple pie imperial red. 9.5% ABV, 63 IBU. Space Pope IPA – Cigar City is now offering a mixed 12-pack that includes Jai Alai IPA, Guayabera Citra Pale Ale, and Florida Cracker Belgian-style White Ale, along with this new citrus-forward IPA at 7.3% ABV. 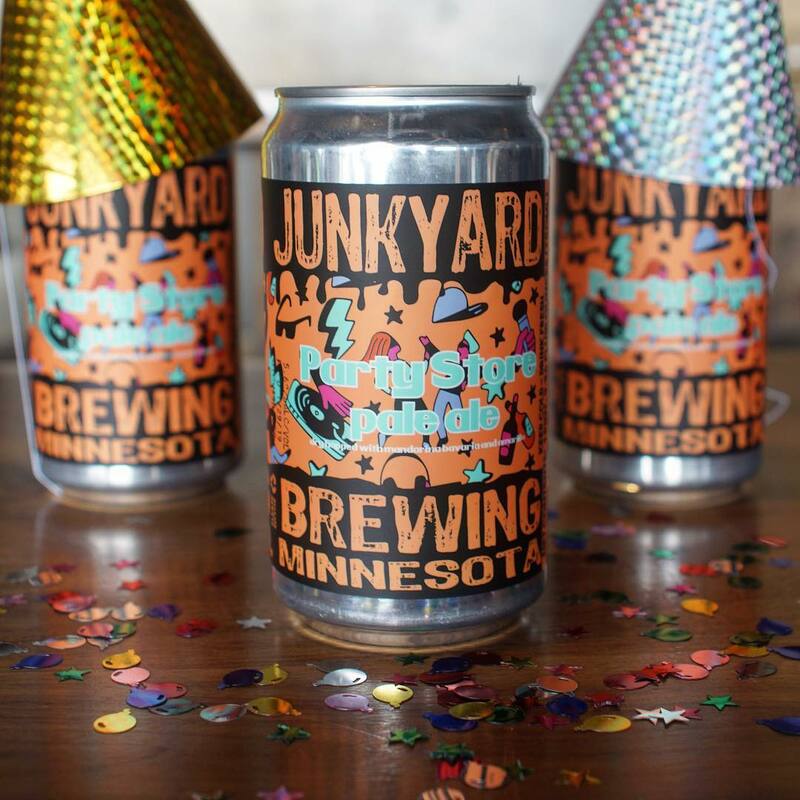 Hard Cider – Cuyuna will released a cider at their second anniversary party on January 26. 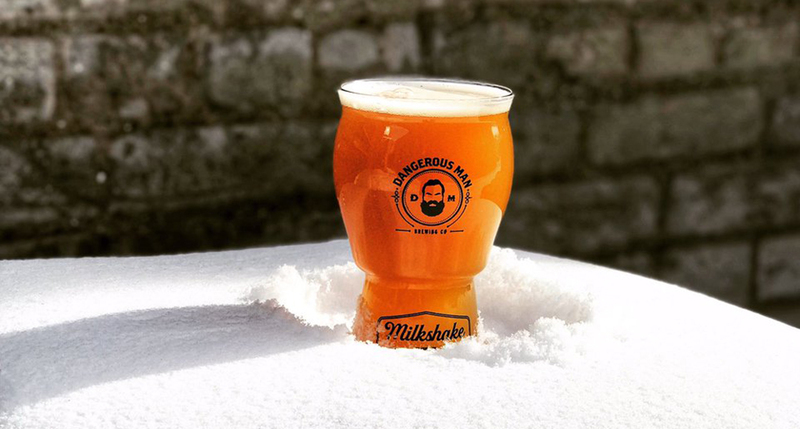 Strawberry Passionfruit Milkshake IPA – A lactose IPA “conditioned on a ton of strawberries, a tiny bit of passionfruit, and Madagascar vanilla beans,” Dangerous Man says. Mimosa – Only available on Sundays this winter at the taproom. Big Doinks – A dank IPA just off the family tree from Tom Danks this summer. Available at the taproom, as of Thursday January 31. Ultra Citra Lighté – This new beer carries grapefruit, lime, and tropical fruit flavors with a light malt bill and soft body, the brewery says. 4.7% ABV. Betty Lou’s Brown Ale – A 5.4% ABV, 35 IBU malty brown ale with biscuit, toasted bread, and subtle dark stone fruit characteristics, the brewery says. Barrel Aged Mexican Imperial Honey Lager – This limited beer was tapped on Monday at the brewery after spending 10 months in brandy barrels, which add oak and vanilla flavors to the honey lager. Listening Through Static – A 5.7% ABV, 42 IBU hazy pale ale. Vic Golden Spite SMaSH IPA – A raspberry-infused hazy pale ale at 5.7% ABV, 42 IBU. Experimental IPA #14 – A 7% ABV, 70 IBU old school IPA made with Centennial, Cascade, and Comet hops for notes of grapefruit and lemon, plus mild floral and spice notes. Betsy Dark Secret – A “chocolate milkshake stout,” make with coffee, cocoa, peanut, and lactose. Brewed in collaboration with Modist, and released in tandem with their Betsy’s Bright Idea. Big Kahuna – A malt-forward dark ale brewed with a heavy dose of coconut flakes for a Mounds bar character. 10.4% ABV and on tap now. Party Store Pale Ale – Top Flight selection. Bowser’s Peach – A peach milkshake IPA that Lakeville describes as “A smooth bodied beer with a light hop aroma from dry additions of Azacca/Australian Summer hops and hints of peach from hot fermenting Norwegian yeast and sweet peach puree.” 7.0% ABV, 20 IBU. Chocolate Carrot Cake-inspired Milk Stout – This beer was made with 150 pounds of carrots from Pearson Organics, plus cinnamon, nutmeg, and vanilla. It has earthy, sweet carrot notes, plus cinnamon and nutmeg spice with a chocolate finish. 6.5% ABV, 11 IBU. Sno-Cruiser Special – A 9.0% ABV, 50 IBU porter currently available at the taproom. Sycophant – A 9.0% ABV American strong ale. Betsy’s Bright Idea – Brewed in collaboration with Junkyard, this blonde milk stout features coffee, peanut, chocolate, and lactose, similar to the dark-hued Junkyard variation. Mass Haze-teria – A hazy IPA that’s juicy, hoppy, and tropical, the brewery says, with flavors such as orange, vanilla, berry, and tropical fruits. On tap this Saturday, February 2, and coming to 16-ounce cans soon. Rolling Thunder Imperial Stout – Rogue’s barrel-aged imperial stout with chocolate and coffee tones returns next month. The brewery then reuses the barrels once more by refilling them with whiskey that is sold as Rolling Thunder Stouted Whiskey. Apeel Me – A new wheat ale brewed with blood orange and grapefruit. 5.5% ABV, 27 IBU. Cream Ale with Lemon – This limited beer was tapped last Saturday at the brewery. Queen of Snows – A winter ale made with cinnamon and grains of paradise, brewed in celebration of the Saint Paul Winter Carnival. Death Comes in Threes – A Belgian-style tripel with complex fruit and spice notes. 9.7% ABV and available only at the Beer Hall. Nitro Bender Oatmeal Brown Ale – A draft-only update on Bender. Nostalgia – This is a mixed culture barrel-aged sour ale that taps this Saturday, February 2, at 2pm. London Brown Ale – Top Flight selection. There will be a ribbon cutting at 4pm today, February 1.
brütella – This hazelnut, chocolate, and lactose beer kicked off the new Doughn’t Ya Know Pastry Series last weekend. Primetime Porter – A 7.0% ABV, 31 IBU porter. Raspberry Sour Eclipse – A 5.1% ABV, 7 IBU sour ale. Wee Sheets to the Wind – From the Beertender Series, this is an 8.3% ABV, 28 IBU wee heavy that is currently on tap at the brewery. Saphir Dry Hopped Pils – Now available, this is a 5.9% ABV, 35 IBU German-style Pilsner dry-hopped with Saphir. From the Abstract – An imperial rye stout conditions on cinnamon sticks, cacao nibs, and espresso. 12% ABV and available in bottles. It will return in a barrel-aged variation in the future, the brewery says. Into Oblivion – Another imperial stout, this was conditioned on roasted coconut, vanilla beans, and a touch of lavender. 12% ABV and available in bottles. It will return in a barrel-aged variation in the future, the brewery says. The Great Decay – A 13% ABV English-style barleywine with notes of caramel, nougat, and dates, the brewery says. Available in bottles, and set to return in a barrel-aged variation in the future. Project Citra – A limited edition juicy IPA made its debut last weekend. Milkshake Mango IPA – “A dessert-style IPA brewed with oats, wheat, lactose, Citra hops, mango puree, and a hint of vanilla,” the brewery says. Sixteen Times – A lager with malty sweetness, low hop bitterness, hop spice notes, and a soft finish, the brewery says. 5.25% ABV. Tiny Tanks – The hazy IPA is back at the taproom now. London Rey – An English brown ale that pours at 6.0% ABV. “Notes of dark bread crust, cocoa and caramel are paired with a soft, earthy finish courtesy of the rye,” the brewery says. Gïga Lüpin – Bent is throwing a party on Friday, February 1 to celebrate the return of this triple IPA. Boysenberry Wilderness Tuxedo – This fruited kettle sour hits the taproom today before making its way to liquor stores next week. Bad Axe – The imperial IPA is back, debuting at the taproom last weekend. Peach Cobbler Ale – A dessert-inspired ale made with oats, wheat, milk sugar, plus peaches and cinnamon sticks. BA Novy Praha Med – Available this Saturday at the brewery. #39 Keller Pils – “This lager has smooth floral notes and a mellow, citrus bitterness in the flavor and finish,” the brewery says. 5.9% ABV, 31 IBU. #889 Cream Ale – An ale/lager blend, this golden-hued beer pours at 5.2% ABV, 31 IBU and finishes clean and crisp. Black Prism – Top Flight selection. Springbok – Top Flight selection. Triple Berry Sour – This 7.8% ABV kettle sour was made with blackberries, raspberries, and boysenberries. Chunka Chunka Peanut Butter Love – Tapped yesterday at the brewery. Arabicadabra Coffee Milk Stout – A bottles coffee milk stout. 5.5% ABV and scheduled for October. Best Brown Ale – This fall favorite is 5.8% ABV and returns in September. Cherry Stout – A 7% ABV November release. Christmas Ale – This 7.4% winter ale returns in bottles in November. Double IPA – Scheduled for September. Double Two Hearted Ale – A double Two Hearted pale ale at a big 11% ABV will release in 4-pack, 12-ounce bottles this July. Expedition Stout – Back in September at 10.5% ABV. Hopsoulution Double IPA – A speciality release in Minnesota (and year round offering in Wisconsin and other select states), Hopsoulution is back in the Gopher State in April. 8% ABV. Oberon Ale – March 25 is Oberon Day 2019. Octoberfest Beer – A 5.5% ABV Oktoberfest is back in September. Third Coast Old Ale – Bell’s will be brewing new bottles of this 10.2% ABV ale, available in September. Smitten Ale – Back this May in 12-ounce bottles. 6% ABV. Special Double Cream Stout – A 6.1% ABV cream stout scheduled for August. Winter White Ale – Returning next November, 5% ABV. The brewery will also release four beers in the Leaves of Grass series in May, July, September, and November. 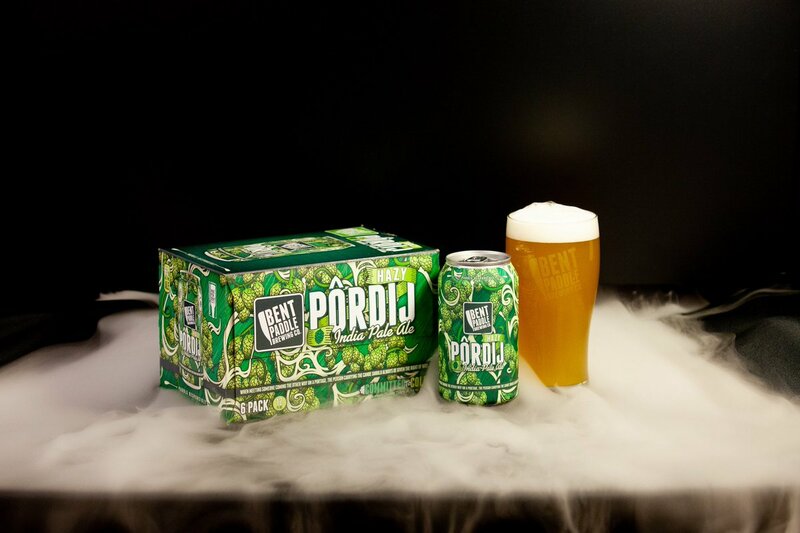 Pôrdij Hazy IPA – Hitting the taproom in Duluth on February 8 and coming to liquor stores soon after. Baltic Porter – This 7.8% ABV strong laged was aged cold for more than three months. It taps at Birch’s on the Lake on February 5. Three beers in the members-only Journeys + Sidequests bottle club have been announced. The beers are typically experimental in nature. Smith & Lentz collaboration – Brewed in collaboration with the Nashville-based brewery Smith & Lentz, this is a Czech-style dark lager fermented in rum barrels. SuperKveik – This will be the first Journeys + Sidequests release, a Norwegian-style ale brewed with elderberries and tangerine, then fermented in gin barrels. The Bee’s Knees – A collaboration with Marvel Bar, this beer is a sour wheat ale with honey, lemon, and botanicals, then fermented in gin barrels. Rye-Din Dirty – Valentine’s Day is on the horizon, which is when this rye stout infused with cacao nibs, nutmeg, sea sale, and lactose will make its debut. “Light additions of nutmeg and sea salt complement the rich spiced chocolatey-ness of this decadent beer,” Fargo says. 7.5 % ABV, 35 IBU. KBS – Save the date of March 15, 2019, when the popular bourbon barrel-aged chocolate and coffee imperial stout returns. This year’s version is 12.2% ABV and will be sold in 47 states in both 12-ounce bottles and 750-milliliter bottles. Pink Rabbit Pils – Available at the brewery this Valentine’s Day. Peanut Butter & Chocolate Gravity Well Single Barrel Reserve – Insight will release five variants of Gravity Will Single Barrel Reserve this month, starting with this batch, aged in rum barrels, which will be served at HopCat’s Valentine’s Day beer dinner. 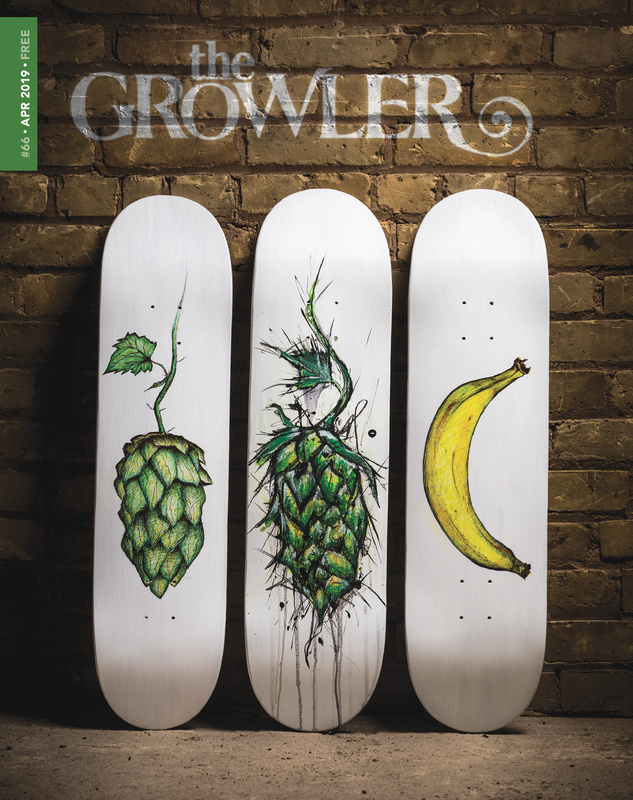 Three Bandits – The coffee porter will return in February. Chroma Key – This blueberry basil sour ale will be sold on draft only, starting next week. “This sour ale was barrel-aged with whole blueberries and rounded out with a hint of herbal basil for a funky complexity,” Surly says. 7.8% ABV. Zoomer Red – Returning soon, the brewery says. Belgian Quad – Returning to the taproo next week, on February 6. 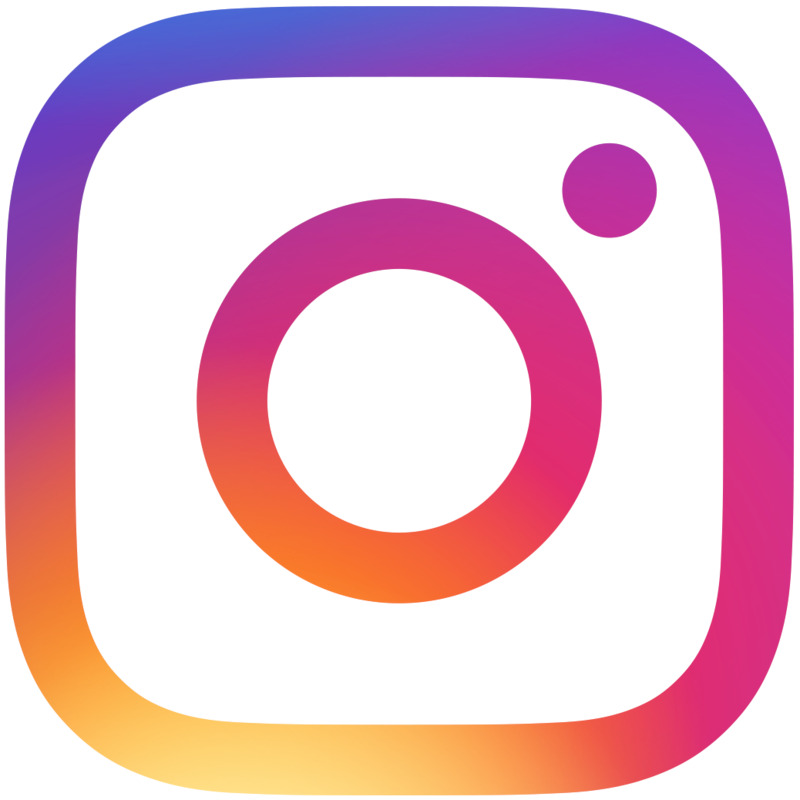 Driftwood – Driftwood is back. Bottles go on sale on February 22. Smooth Jass IPA – This IPA hits the brewery on February 15.